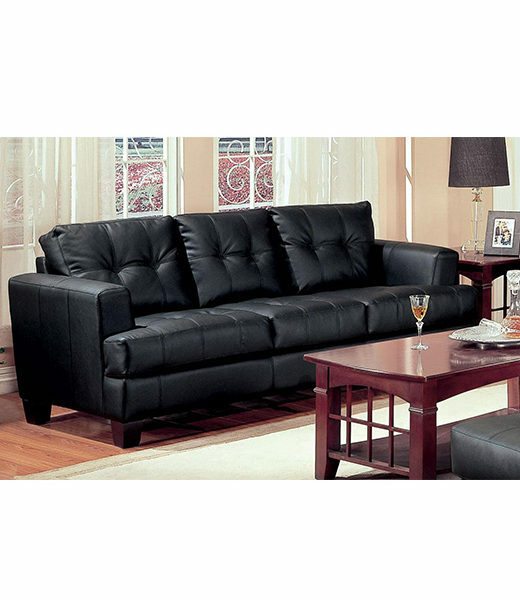 A contemporary bonded leather Loveseat with plush tufted look back cushions, deep seat cushions and square tapered feet. 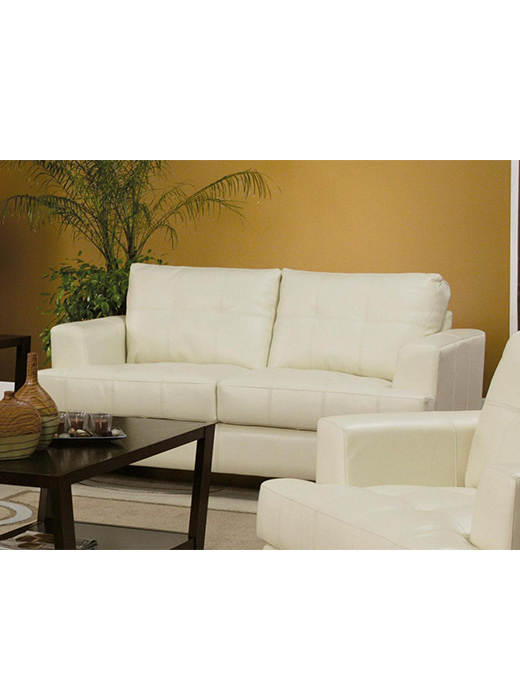 A contemporary bonded leather Loveseat with plush tufted look back cushions, deep seat cushions and square tapered feet. 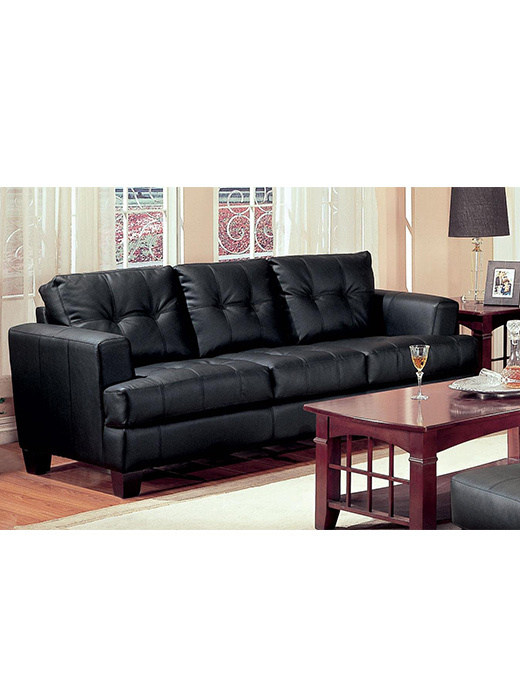 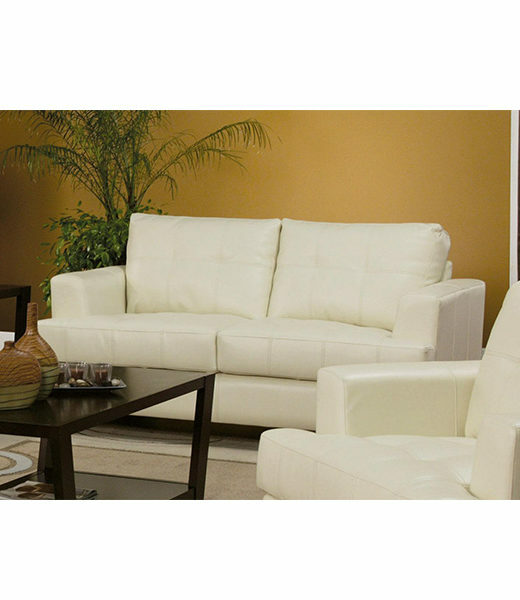 Bonded leather over a solid hardwood frame, webbed back, and spring base for support and long lasting comfort.